Josh Beckett just doesn’t get it. His comments following his debacle against the Indians on Thursday night are indicative of someone who couldn’t care less about the team around him. The presumptive Red Sox ace could have negated the most recent controversy surrounding him golfing on an off-day with some smart comments, but instead chose to continue flaunting his disregard for his team. 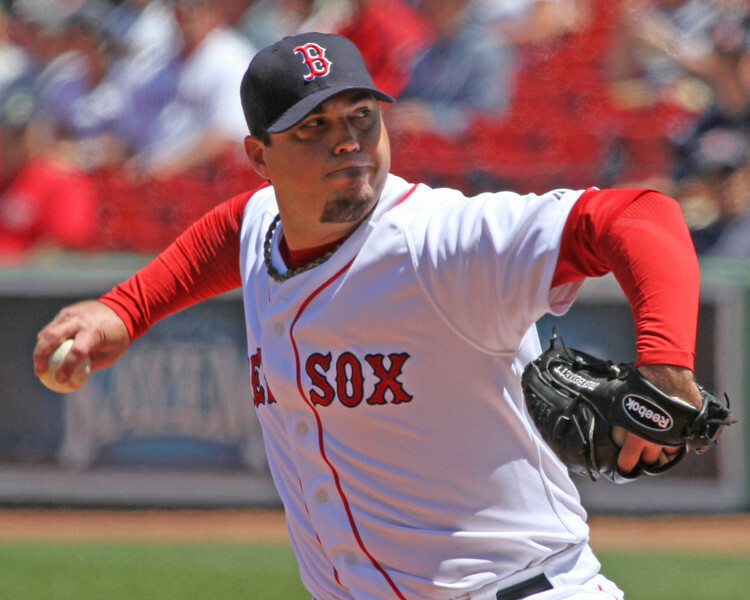 He is Josh Beckett, with over $100 million in earnings by the time he retires and two rings. And he doesn’t care what anybody else has to say about his actions. From fried chicken and beer last September to his contemptible press conference, he’s sent a clear message: I will do what I want, and you all can go to hell. How else to explain his comments last night? Except that Beckett gets far more than 18 off days a year. He’s a starting pitcher, expected to pitch 32 times a year. Certainly, Beckett has other responsibilities the other four days through the rotation to prepare to pitch, but to compare himself to someone like Dustin Pedroia who actually only gets those 18 days, is ludicrous and a slap in the face. Heck, Derek Lowe, who pitched Thursday, admitted that he was going to golf on Friday — and the Indians don’t have an off day. Beckett knows this. He’s not an idiot; he just doesn’t care. Do people have the right to question why Beckett was golfing, he was asked. Does he understand the perception that leaves? Let’s be clear about one thing. It’s not the actual golfing that has me steaming. Beckett is right about one thing — what he does on his off days are up to him, provided he’s not putting his health, career and team at risk. The Red Sox have been adamant that he was skipped in the rotation as a precaution for lat tightness (muscle behind the shoulder), not because he was specifically injured, and I don’t think he put his health at risk. (Bobby Valentine and Ben Cherington agree, as per WEEI.) I don’t even blame Beckett for not volunteering to pitch during Sunday’s 17-inning debacle, because not many starting pitchers would risk injury and missing a start where they could better influence a game’s outcome. Not everyone can be Tim Wakefield. GolfGate was an overblown story before Beckett’s comments that should have died a quick death. But Beckett didn’t do his job, and now he’s created a major issue that will affect his legacy in Boston — all because he lacks simple common sense.